Lately, I have been intrigued by lot of things about New Zealand and to answer my own curiosity, I have listed a few questions and answers. I am sure you will enjoy reading these little chunks of information. New Zealand : Do you know? How can New Zealand go missing from World Maps? What is New at the Great War Exhibition in Wellington? Do you know about New Zealand’s Māori culture? What is the first step to planning a trip to New Zealand? For a country that’s bigger in land area than the UK, and more than two-thirds the size of either Japan or Germany – a landmass that includes a lake around the same size as Singapore, has a mountain chain that’s bigger than the entire European Alps and more coastline than California, Alaska and Florida all rolled up together its unfathomable New Zealand has been accidentally missed off. From the world map on Getty’s stock photo library, Shutterstock to the souvenir globe at the Smithsonian Air & Space Museum, it seems little old New Zealand is nowhere to be seen. See the video below to know how the country’s Prime Minister, Jacinda Ardern had to take a personal interest to investigate and rectify it. I think this was a very creative way to get New Zealand back on the global map. 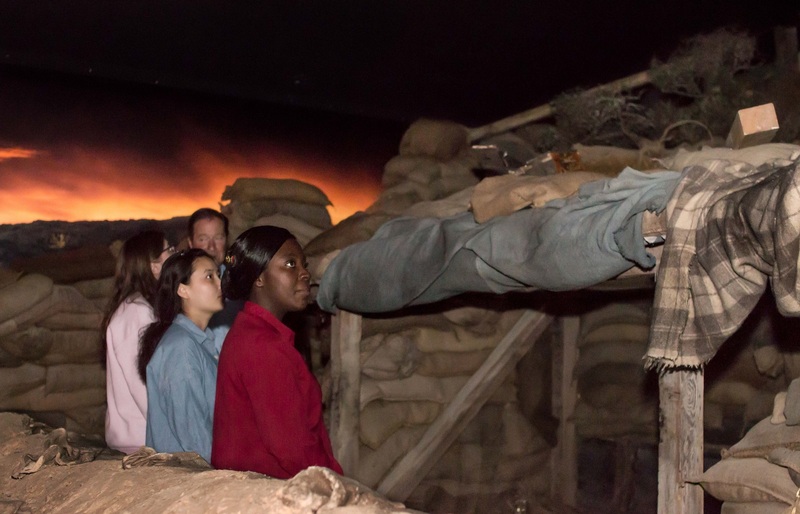 Whats New at the Great War Exhibition in Wellington? The world’s first sensory experience, created by Sir Peter Jackson, has been officially opened at The Great War Exhibition in Wellington. The Quinn’s Post Trench Experience combines Sir Peter Jackson’s world acclaimed storytelling artistry with a personal passion for First World War military history and stories of the experiences of New Zealand soldiers. With the help of cutting edge technology, visitors will be guided through Quinn’s Post by the ghosts of New Zealand soldiers. Guests will experience the sights, sounds and even smells of Gallipoli 1915. Do you know about New Zealand’s Maori culture? 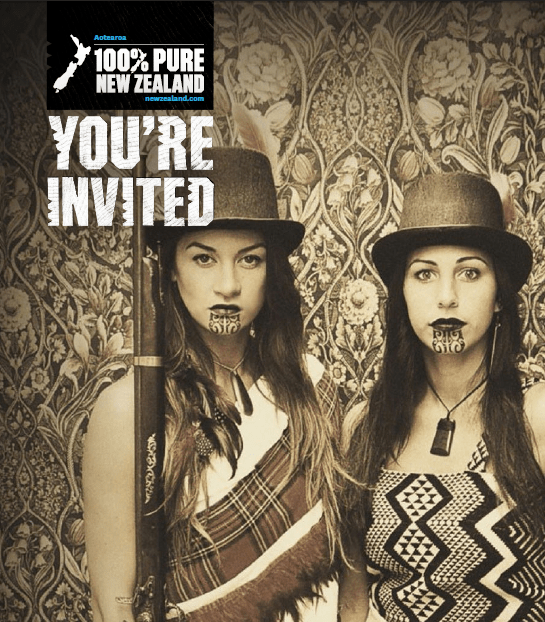 I dint have any clue about Maori culture until I got an invite to be a part of an event in Mumbai where Diana Penty was supposed to be engaged with culture enthusiasts Taaniko and Vienna Nordstrom, from New Zealand Company –Soldiers Rd Portraits. It was my loss that I could not attend it but the event was curated to raise awareness about the destination, and showcase the country’s other offerings that go beyond beautiful landscapes and adventure experiences. Maori are the indigenous people, of New Zealand and they have a lot to contribute to the identity of the country. 2. Māori Tattoo (Ta Moko) is very significant and it tells tales of social status and family history. 3. They cook in Earth ovens and its called Hangi feast. 4. They press noses to greet each other instead of shaking hands. 5. Harmonious singing and rhythmic dancing is prominent part of Maori culture. In New Zealand culture, they believe in the concept of Manaakitanga. It inspires the way in which travellers are made to feel welcome when visiting New Zealand. For New Zealand’s Māori, being hospitable and looking after visitors and caring about their well-being is an intrinsic part of their culture. Where is Aotearoa or ‘The Hokianga’? Aotearoa is the Māori name for New Zealand meaning “land of the long white cloud”. 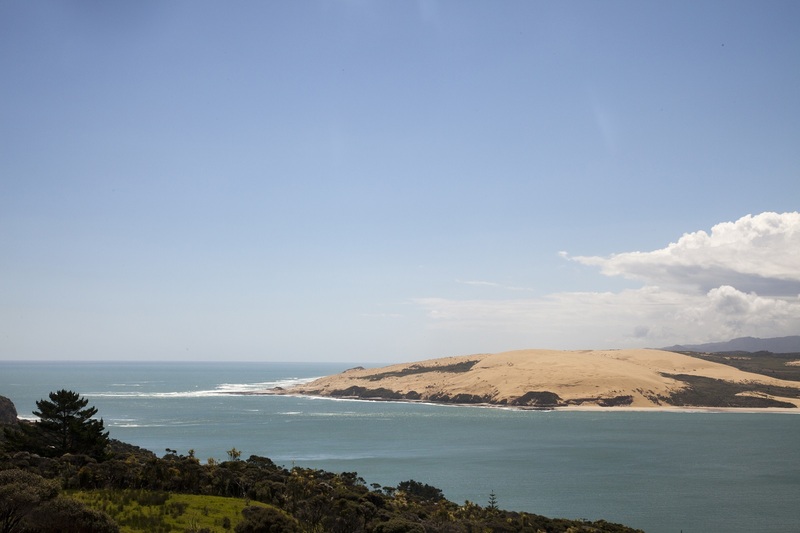 On the north-western coast of the North Island, historic Hokianga is often referred to as the birthplace of Aotearoa New Zealand. It’s estimated in about 925AD, the legendary Polynesian explorer Kupe led his people to the Hokianga. Recognising what a jewel they’d found, the tribe put down roots, naming the area Hokianga-nui-a-Kupe – “the place of Kupe’s great return”. Today, this gloriously unspoiled region is home to beautiful landscapes, creative locals and a mighty sense of spirit that infuses this vast spectacular expanse. One must visit the Hokianga Museum and Archives Centre, or stop in at Dargaville Museum, an impressive window into local heritage and culture. For all those who love star gazing like me, you will love to know that New Zealand’s night skies put on an epic natural light show. I had no clue that the country boasts of some of the best stargazing spots. 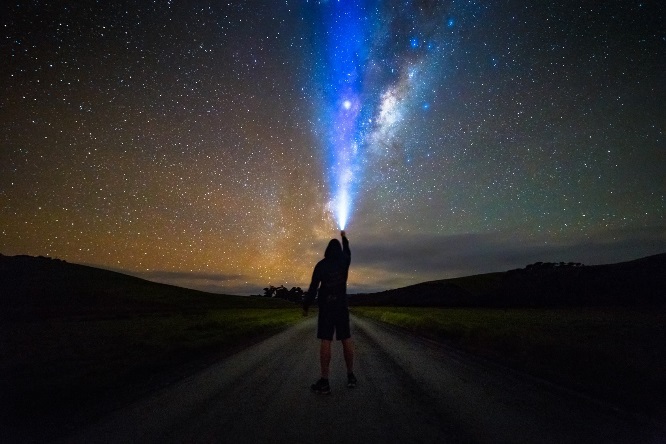 In a galaxy not so far away, New Zealand celebrated Star Wars Day by looking up and taking in some of the clearest night skies in the world. 1. Ruapehu – The stars above the Central Plateau and the Tongariro National Park are a sight to behold. The UNESCO World Heritage Site’s contrasting landscapes make for a stunning setting to stargaze in. 2. 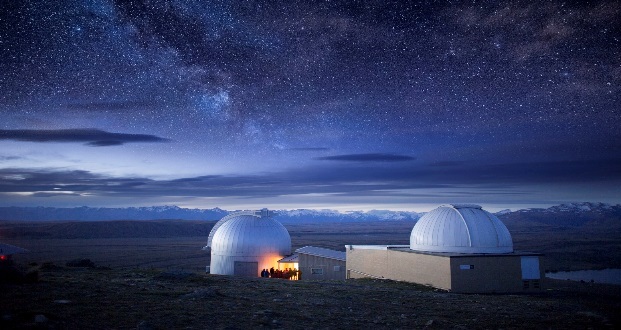 Mt John Observatory – The Mt John Observatory in Tekapo is within the Aoraki Mackenzie International Dark Sky Reserve and is one of the best places in the world for stargazing. Earth and Sky runs several day and night tours at the observatory and if anyone can help you spot a X-Wing it is their experts. 3. Tawharanui, Auckland – You don’t need to travel far from the city to see a spectacular light show in New Zealand. Tawharanui Peninsula is just over an hour from Glenorchy, 45 mins north of Queenstown, is the gateway to the Dart River and by night the mountains that surround it look that little bit more spectacular with the backdrop of millions of stars. 4. Castlepoint, Wairarapa – On the lower east coast of the North Island, the small beachside town of Castlepoint is famous for its lighthouse. A lesser known asset is the bright lights above. Grab a blanket, get cosy and prepare to wowed by the cosmos. 5. Glenorchy, Queenstown – The drive from Queenstown to Glenorchy isn’t a long one at 45 minutes but the scenery makes it one of prettiest journey’s you will ever make. The small town is the gateway to the Dart River and by night the mountains that surround it look that little bit more spectacular with the backdrop of millions of stars. 6. Dunedin – The Aurora Borealis, is a must see for many night sky watchers around the world but the lesser known Aurora Australis or Southern Lights is no less spectacular. From Dunedin, the Southern Lights appear just over the southern horizon creating remarkable reflections in the water much to the delight of budding photographers. 7. Great Barrier Island – Great Barrier Island, off the north-eastern coast of Auckland, was the first island in the world to be designated an International Dark Sky Sanctuary. Much of Great Barrier Island is ’off the grid’ so light pollution is minimized on the island, allowing for great viewing of the spectacular night sky. It would also make a perfect training ground for young Jedi to hone their skills. TRENZ is the $36 billion New Zealand tourism industry’s premier international trade show. 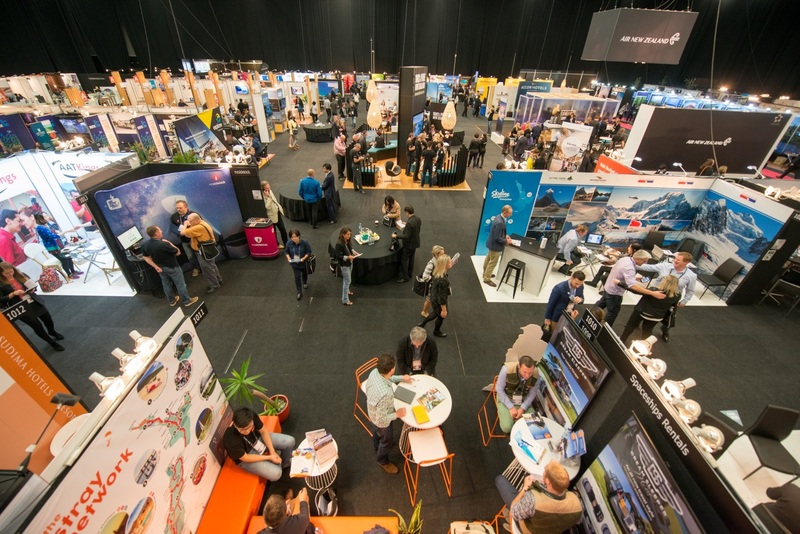 More than 380 international travel marketers will attend this year’s event in Dunedin, 7-10 May. Chris Roberts, Chief Executive of Tourism Industry Aotearoa (TIA), which organises and manages TRENZ said, “We are very excited that this year’s TRENZ will showcase 49 incredibly diverse new products, ranging from scenic helicopter flights with ex-All Black captain Richie McCaw, to an interactive turtle rescue simulator, to a guest house hosting artists-in-residence in the Queenstown hills. Whats high on the list? 1. The iconic Rotorua Redwood Forest is a must-do attraction, located only five minutes from the CBD. 2. Mount Maunganui’s Manaaki Adventures will be promoting its student adventure tours and custom rugby tours. 3. The new 3D Trick Art Gallery, along with a hugely popular petting farm, deer museum and two restaurants. 5. GO Glamper is an extremely convenient and well thought out piece of Kiwi ingenuity that will allow visitors to explore New Zealand without the huge costs normally associated with more traditional accommodation. Look out for the visa procedure – One may forward their application to the TT office in Mumbai or Delhi, which is then directed to Immigration New Zealand. 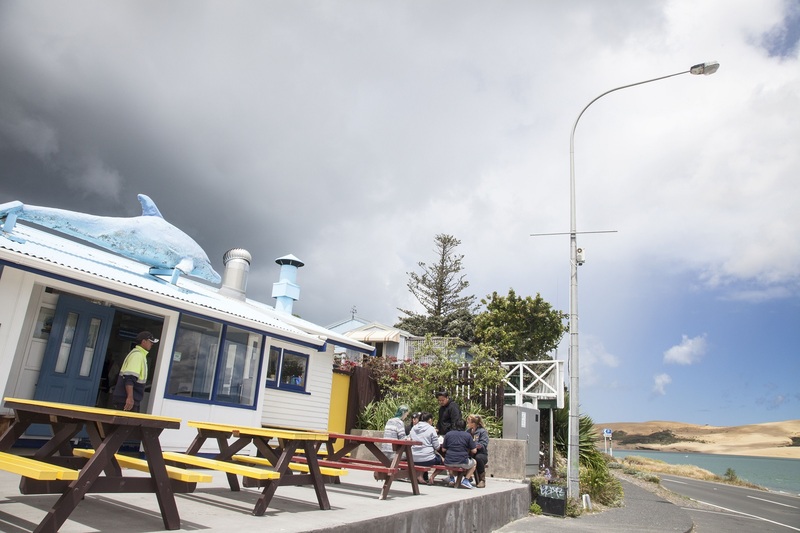 The good news is that Tourism New Zealand and Immigration New Zealand have launched an extension of the Tourism Industry Partnership (TIP) Programme to facilitate faster processing of visitor visa applications for Indian leisure travellers. This streamlined visa service is beneficial for Indian leisure travelers, with a faster processing time of three days, compared to the previous online application processing time of 15 days. Gorgeous landscape is my favorite reason to travel to a new country. Happy Travelling! !